In a world where just getting your email opened is a mission in and of itself, connecting with and converting prospects via cold emailing can seem impossible. Truth be told, it is pretty darn difficult to drum up new leads, even with a properly vetted list and carefully crafted copy. But cold emailing doesn’t have to feel like a shot in the dark. There are a number of cold emailing techniques that are proven to increase the response rate, warm up leads, and open up the high-value sales opportunities you’re after. A campaign that grew a company’s revenue to $30k/month within one year. A cold email formula that secured $10k in recurring monthly revenue. A campaign that allowed a consulting firm to quickly sign a new $15k client. How one company used cold email to land meetings with LinkedIn, Twitter, and more. Note that we chose these examples because they resulted in substantial financial and business success. We’ll explore why the emails were so effective and how they connected with cold leads so you can score similar results for your own business. Plus, we’ve included a list of 17 proven cold email templates to get you started! First, let’s look at how LeadFuze used cold email to boost their revenue to $30k/month within a year. 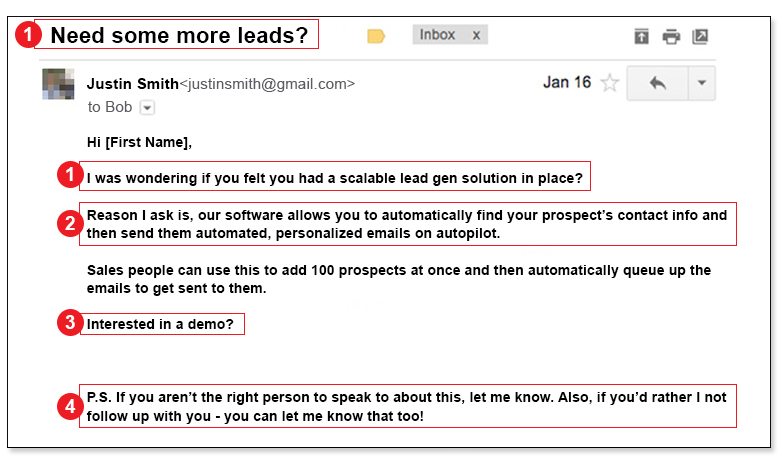 LeadFuze is a lead generation product that helps businesses find and contact new leads automatically, so it’s no surprise that the company’s founder, Justin McGill, knows a thing or two about prospecting. As you might expect, Justin began by building a list of contacts using his own product. He specifically targeted CEOs and owners of marketing companies. When he sat down to write a high-quality cold email that would resonate with people in these positions, he followed a simple formula that includes a question, value proposition, and closing call-to-action (known as QVC). Both the subject line and the opening sentence are phrased as questions about the recipient’s business. This serves two purposes: grabbing the recipient’s attention and maintaining a focus on the prospect’s needs. Of course, the first sentence plays a major role in the success of any email campaign (cold or otherwise). This is especially true when you consider that part of this line will be visible in a recipient’s inbox and on their phone screens when they receive an email notification. With 55% of emails being read on mobile devices, your subject line and opening sentence need to be short, snappy, and intriguing if you want to get through to cold leads. 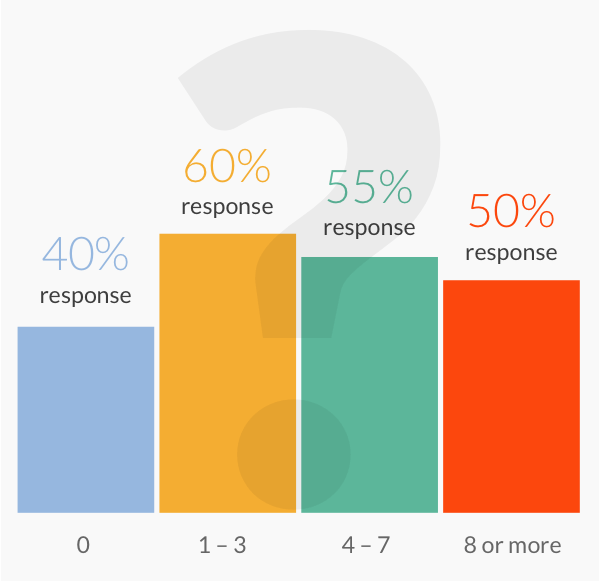 Plus, asking a question or two can significantly bump up response rates. Emails that contain one to three questions are 50% more likely to receive a response than messages without any questions. So, you’re sending cold emails to spread the word about your amazing product or service. Great! But why should your recipients care? Assuming you’ve put together a targeted list of leads, you truly believe the reader can benefit from what you have to offer – so make your prospects believe it, too. Address the WIIFM factor that underlies so much of consumer behavior. This is a critical component of your sales message, since it’s where most of the actual selling takes place. LeadFuze frames their value prop in a way that highlights benefits to the recipient and nicely sums up their core offering. It’s simple, clear, and to-the-point. A strong cold email convinces the recipient to do something. Whether you want prospects to meet with you ASAP or simply show interest by responding to your message, let them know what steps they should take. In this case, LeadFuze offered a demo of their platform to entice interested leads to reply. Justin also included a postscript under his signature. He uses this to give leads an easy way to opt-out of future messages. Not only does this fulfill the role of an unsubscribe link more tactfully, but it also has a psychological effect on the reader. It’s a strange tactic, but it can get people to respond even if they’re not interested in becoming a customer. This allows you to accurately refine your list of contacts and spend your time pursuing promising sales opportunities. Here’s another fantastic example of how cold email can be used to grow recurring monthly revenue. SumoJerky is a beef jerky delivery business that bumped up its revenue to $10k/month using a cold email campaign that focused on sending the right message to the right people. Founder Ryan Luedecke’s first email to a potential customer was unsuccessful. But rather than why he was hesitant to sign up. Then, based on the feedback provided, he wrote a new cold email that addressed each objection specifically. Ryan sent out 5000 more emails with this problem-solving approach and successfully registered 200 offices for his service. That’s a 4% success rate and a healthy $10,000 per month in recurring revenue. So, let’s break it down – what was it about this email that made it such an effective beef jerky sales pitch? According to Convince&Convert, 33% of emails are opened based on subject line alone. It’s your first chance to make a good impression on cold leads and your only chance if it makes a bad one. 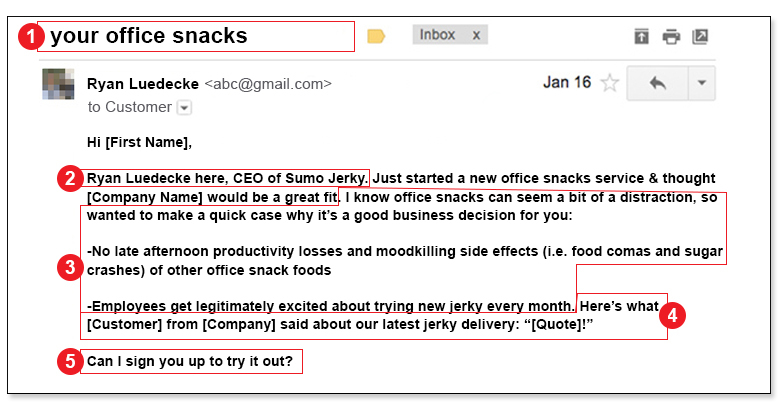 SumoJerky’s successful cold email campaign started with the use of a concise, simple subject line. It gets right to the point, doesn’t sound salesy, and says just enough to get the recipient’s attention – all in casual lowercase text. Plus, inclusion of the word ‘your’ evokes a sense of responsibility in the reader. Ryan immediately establishes credibility by identifying himself as the CEO of his company. Since CEOs and decision-makers are his target demographic, this introduction also helps to build rapport with recipients. Another way Ryan connects with leads is through empathy. He admits that office snacks can sometimes be seen as a distraction. This addresses a potential objection head-on and shows that he understands his target’s concerns. It also gives him a chance to state the benefits of his service in a way that directly addresses customer pain points. Look at your leads’ common challenges to find out if you can improve your messaging to tackle potential issues proactively. By name-dropping and quoting existing customers, Ryan offers social proof that builds trust and further credibility. According to Unbounce, social proof can increase conversions to 68.7% when used correctly. Whether you include quotes from customer reviews or reveal how many satisfied customers you’re serving, social proof tells prospects that you offer real value – and until they become a customer, they’re missing out! Finally, Ryan closes with a clear call-to-action that doesn’t place any pressure on the reader. He maintains the friendly, casual tone of his message all the way through, while also stating exactly what he wants from his leads. According to WordStream, emails that contain a single call-to-action increase clicks 371% and boost sales by a whopping 1617%. So including a direct CTA like this in your own emails is vital if you want to start a business relationship with your leads. As a small web consulting firm founded by entrepreneur Marco Massaro, Masswerks discovered that strategic cold emailing was a powerful tool for finding and connecting with qualified leads. They successfully signed a new client for a $15k contract through a small, focused cold email campaign. First, they turned to CrunchBase to find initial leads. Since they were focused on finding the right people to message, Masswerks narrowed down their search by only looking up specific types of businesses (tech and SaaS) with at least $200k in funding or $500k to $1M in revenue. Next, they identified the decision-makers (by looking up the CEO, co-founders, CTO, CMO, or Head of Product) before seeking out their contact information. 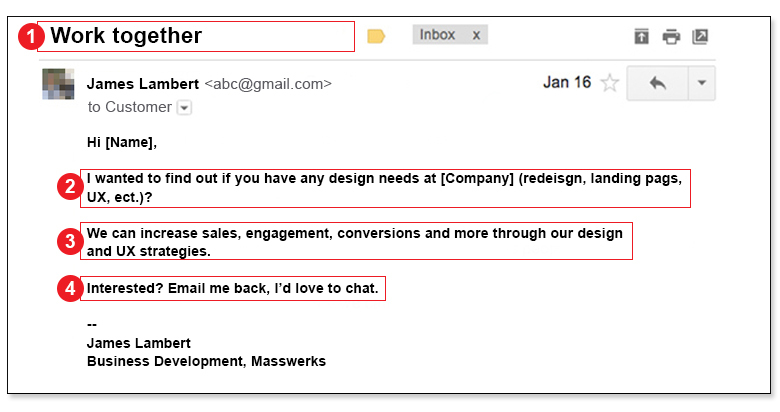 Once they had a well-researched list, Masswerks sent out a short, polite cold email to 500 prospects. They received 67 replies for a response rate of 13.4% and then heavily qualified those leads to avoid wasting anyone’s time. To do this, Masswerks followed up individually to clarify factors like minimum budget requirements (especially if the prospect didn’t talk numbers in their original reply). In the end, only two prospects remained – which means Masswerk’s only had to invest their energy into fully pitching two potential clients. Of those two, one signed a $15k contract within one day. Let’s take a closer look at what they did right. Masswerks kept things short and sweet in their subject line: Work together. This is what leads saw in their inbox. That’s it. Simple, informal, not spammy in the slightest. By writing “Work together” as a statement rather than a question, Masswerks managed to place the concept of a partnership in recipients’ minds before they’d even opened the message. Like LeadFuze’s QVC formula, Masswerks’ cold email opens with a question. It focuses on addressing the prospect’s needs before introducing the company or pitching any services. He doesn’t waste time describing what the business does without telling leads what he can do for them. In one simple sentence, Masswerks states what benefits they can provide to the reader as well as how they would go about achieving it. Once again, it’s crucial to tell your audience what’s in it for them and to illustrate how your solution can benefit their business. The friendly call-to-action comes across as genuine. The word “love” expresses the sender’s enthusiasm and the request to “email me back” doesn’t ask too much of the prospect. It’s open-ended and doesn’t ask for a specific response – merely an acknowledgment of interest. Sometimes the best sales opportunities stem from networking with industry giants. After all, they’re the ones with the connections, scale, and budgets to skyrocket your brand and profits. Of course, getting the big guys to notice and, more importantly, take the time to reply to your email, is no easy feat. Back when OverOps was known as Takipi, the server debugging company managed to land meetings with big players like Twitter, LinkedIn, GitHub, and Klout – all through the power of cold email. Their success was not instant. The first round of emails they sent out received exactly zero responses. Rather than lowering their sights, Takipi’s team analyzed their mistakes to figure out what it would take to write more effective cold emails. By rethinking their approach and revamping their messaging, Takipi not began only getting positive responses but was able to secure a call or meeting with 30-40% of people they contacted. What improvements helped them get the attention of industry-leading companies? Iris admits that her first batch of cold emails used vague subject lines like “new product” and “feedback for a startup company.” She quickly realized that these generic phrases did not allow her message to stand out in recipients’ inboxes. When she made her subject lines more specific (by adding “Scala” or “Java”) and personalized (including the company name), she experienced an instant boost in her response rate. No one gets excited to see spam in their inbox. Unfortunately, that’s exactly what cold email looks like without personalization. According to a report from Adestra, your recipients are 22.2% more likely to open an email with a personalized subject line. Personalization shouldn’t stop at the subject line. Takipi found that mentioning the prospect’s projects in their emails also improved response rates. Commenting on the recipient’s expertise or noting that you enjoyed a recent talk they gave is more than just a form of flattery. It shows that you did your homework. This helps warm up leads because it means you’re reaching out to them specifically based on your knowledge of their work. Asking prospects for general advice might seem like a good way to soften the somewhat abrasive nature of cold email. However, being direct and straightforward yields more productive results. Iris found that she was more likely to land a meeting if she told prospects exactly what she wanted. Her most successful cold emails were structured, used direct language, and stated that she wanted to meet with the recipient so they could try Takipi’s software. The more clearly you articulate your request and illustrate how it relates to your prospect’s needs, the more likely they’ll consider meeting with you. According data from Boomerang, the ideal email length is 50 to 125 words. Sales emails in this range get the most replies, with an average response rate of just over 50%. 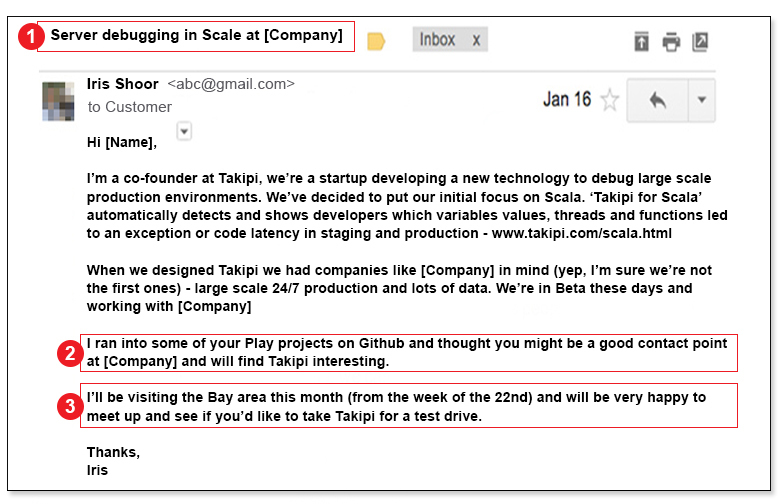 Takipi tackled this issue by attaching lightweight files, like a one-pager and a screenshot, to their cold emails. For bigger pieces of content like videos, Takipi embedded links. What they didn’t do was waste space asking recipients to open or review the attachments. Links and attachments allow you to keep the message clean and brief without leaving out important details. These strategies paid off for Takipi when cold emailing everyone from prospects and investors to bloggers and business advisors. Now that you’ve seen the kind of growth, revenue, and interest cold emailing can achieve, you’re probably eager to optimize messaging for your own leads. We’ve put together a package of 17 proven cold email templates to make your campaigns easier to execute. 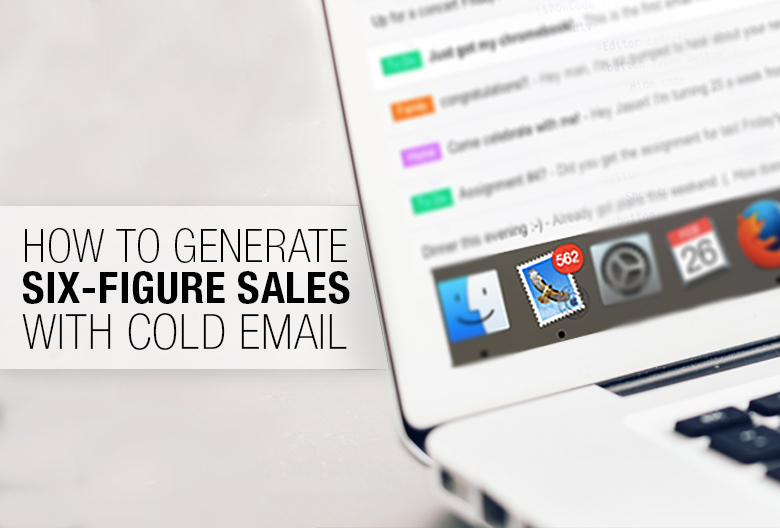 Do you have another cold email template or formula that consistently drives sales for you? Feel free to shoot me an email about what works for your company – I’d love to hear your success stories!